Well seeing as how I couldn’t leave the first town, I’m not exactly sure what type of game this is. 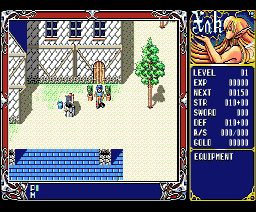 It’s an RPG-type adventurey thing, and if what (wraith) says is any indication, it’s an action RPG like Zelda or something. So there you go. 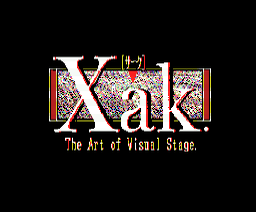 Here is a full English translation of XAK - The Art of Visual Stage released to the public by Delta Soft.